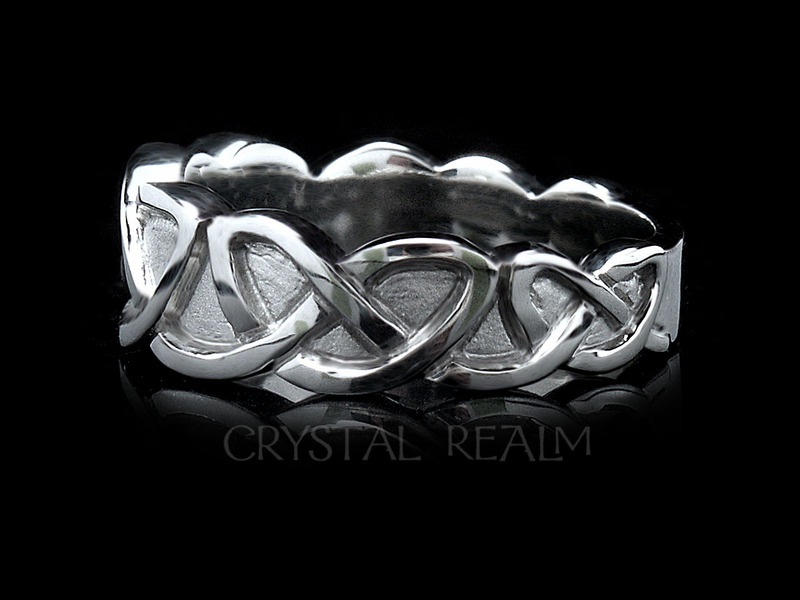 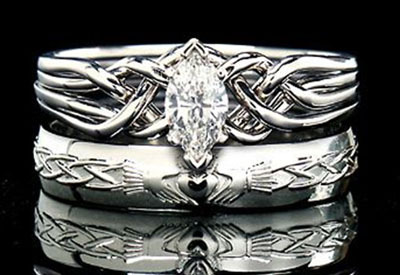 This is perhaps our most popular Celtic bridal set. 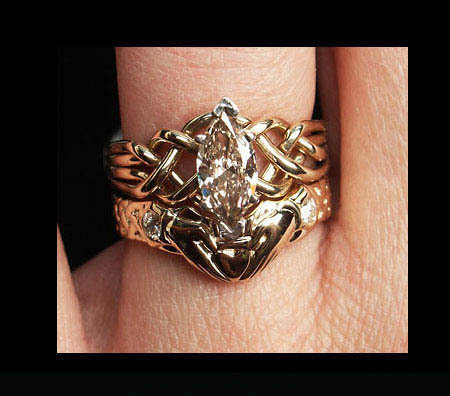 The engagement ring is a four-band puzzle ring made exclusively for Crystal Realm, and it is paired with a claddagh band made in Ireland and hallmarked at the Dublin Assay Office in Dublin castle. 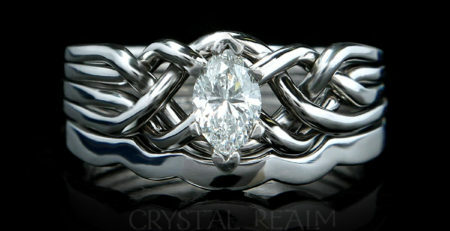 We can make this set in palladium or 14K yellow gold with a 14K white band diamond setting. 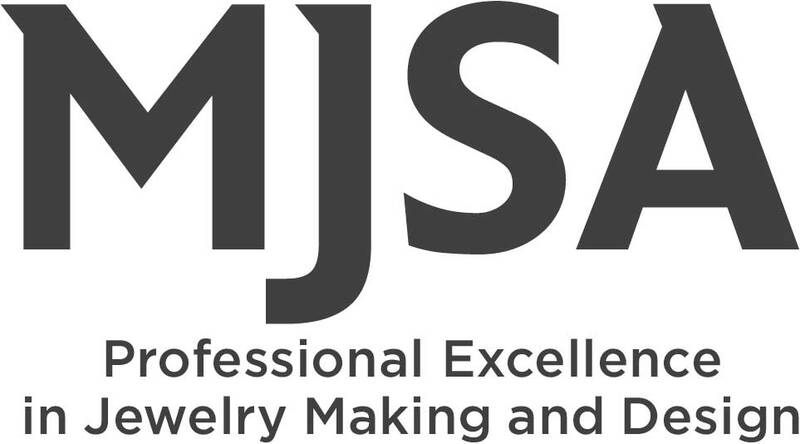 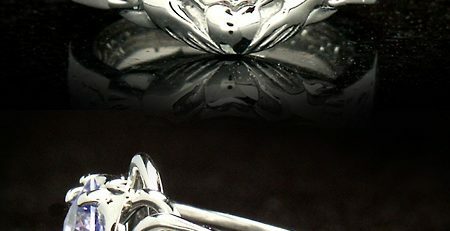 14K or 18K White Gold Rings – White Gold Color or Rhodium-Plated? 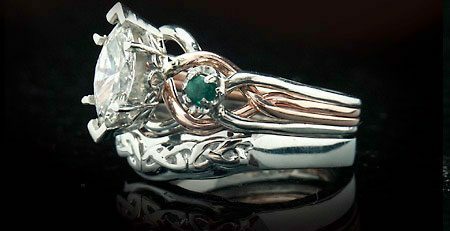 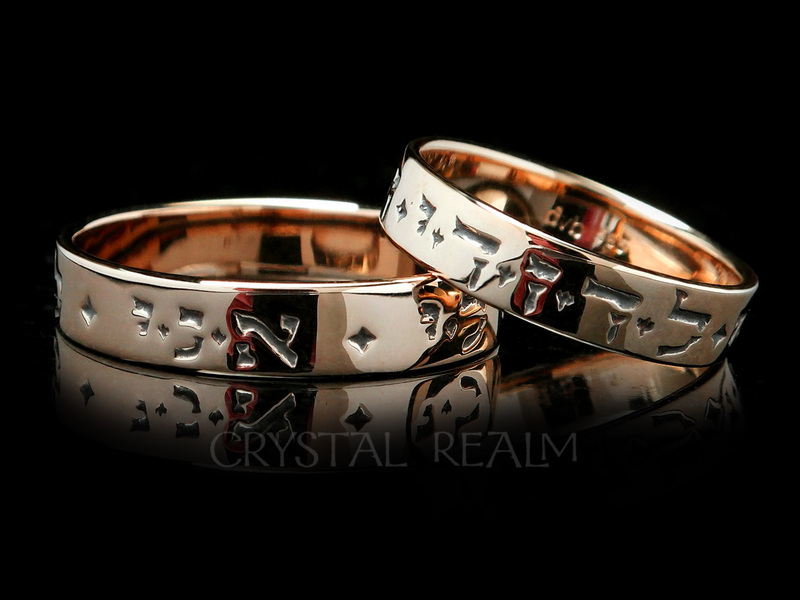 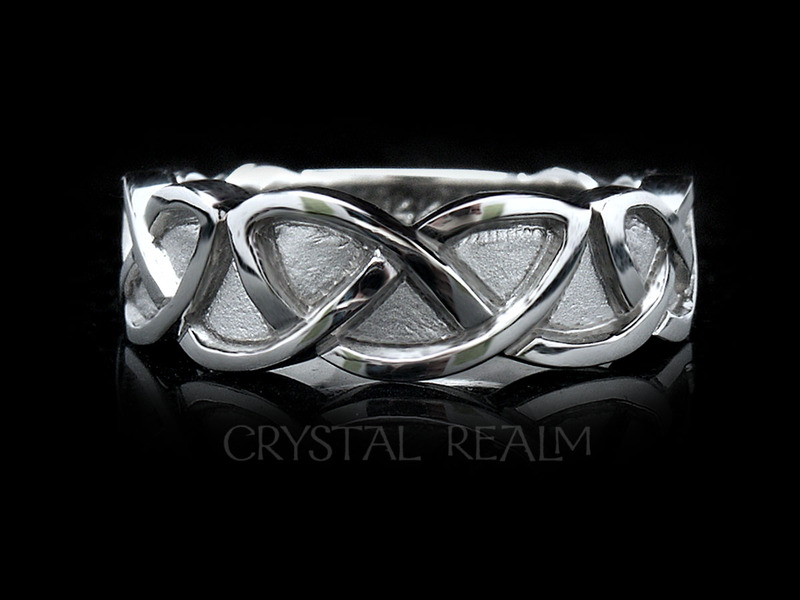 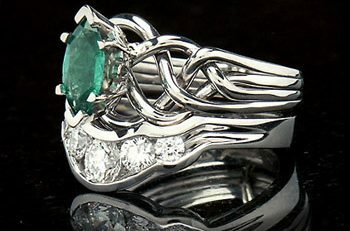 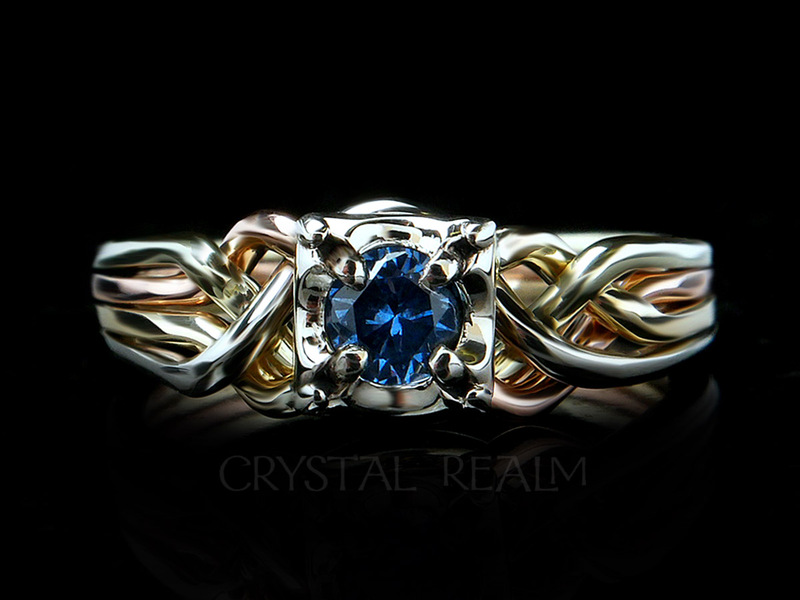 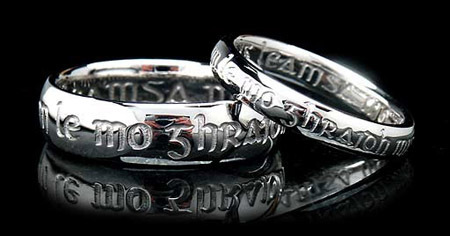 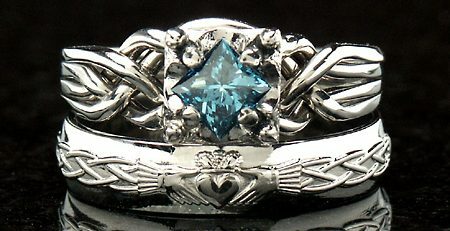 Unique Engagement Rings – How do we make a Celtic-Inspired Puzzle Ring with a Custom Shadow Band?